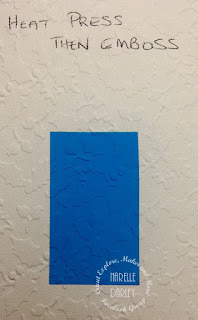 Have you ever used iron on vinyl (also known as heat transfer vinyl or HTV) on cardstock? If you haven't, you should give it a try. It's so much easier when you're working with lots of small pieces/letters that you want to keep positioned exactly as they are cut. 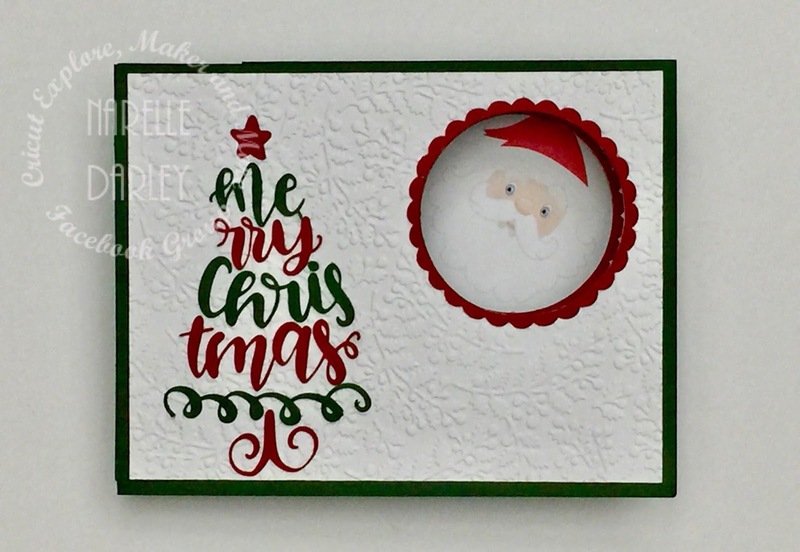 For example... this Merry Christmas image was cut with cardstock. It was really tricky trying to line up each line of text and even when I was finished I wasn't happy with how it looked. Because the image was quite small it was also quite flimsy which made it even harder to line everything up. I have in the past used painters tape or drywall tape to try and transfer my cardstock from the cutting mat to my project, but that hasn't been terribly successful. 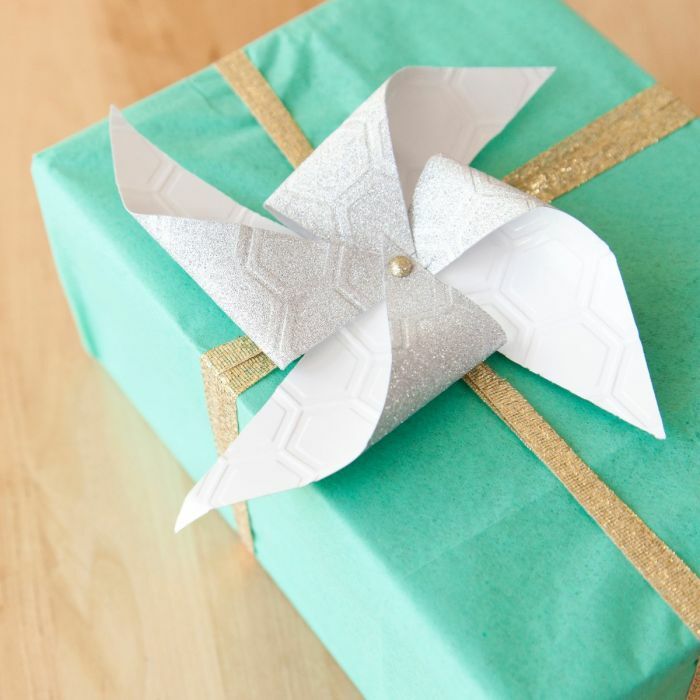 That's why using iron on vinyl on cardstock is so much easier. Once you weed your vinyl the clear transfer sheet keeps everything in place. All you need to do is iron on each colour individually. 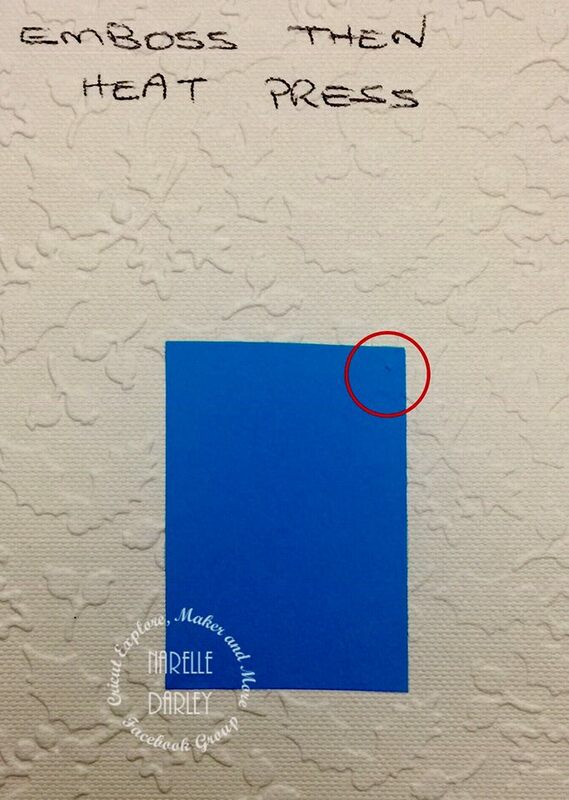 The heat settings for Cricut regular vinyl on cardstock when using the Cricut EasyPress is 140°C/280°F for 30 seconds. For Cricut glitter vinyl it's 145°C/290°F for 30 seconds. When ironing on multiple colours I generally heat press the first colour for 20 seconds, carefully remove the clear coversheet (some bits might not be totally adhered so go slowly), then place the next colour and press again. When I get to my last colour I press for the full 30 seconds. 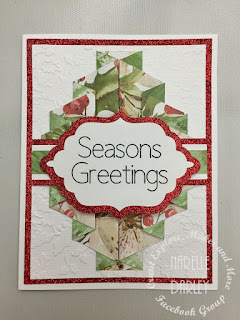 I wanted to see which worked better... embossing then ironing on the vinyl, or doing the iron on first, then embossing. 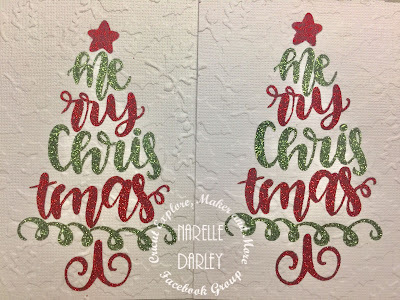 The two photos below show you the results when using regular Cricut Iron on. Both work fine, but if you don't want to see the imprint of the embossing on your vinyl then you should emboss first, then add your iron on. (You can see in the first photo that there was one small area when you could ever so slightly see the embossing). The next thing I wanted to test was using Glitter heat transfer vinyl. The image on the left was embossed first then ironed on. 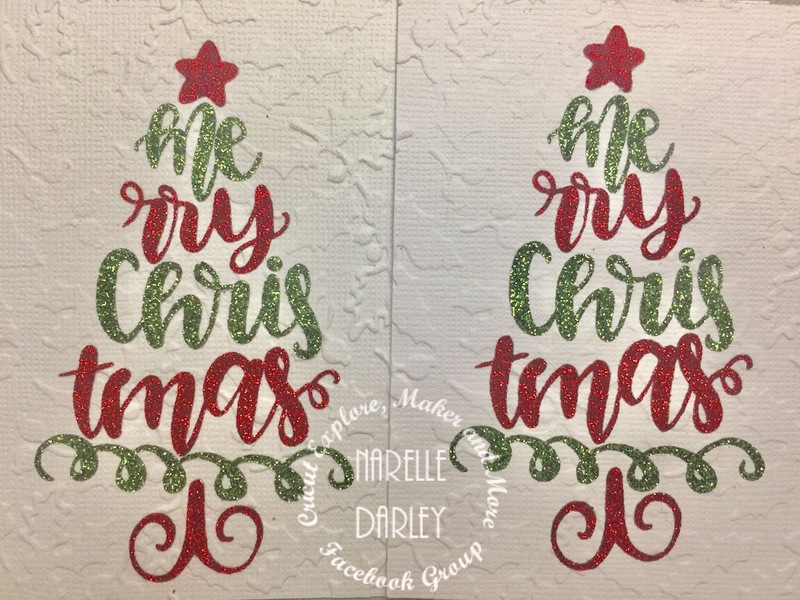 The image on the right was ironed on first then embossed. On an image this small you can't really see much differenence. 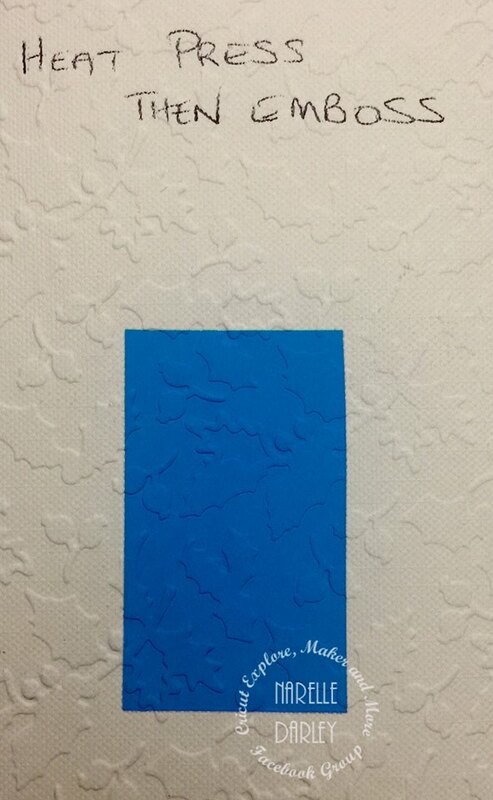 However, like the blue sample above, the embossing has been pressed into the vinyl if you emboss last. For that reason, I prefer embossing first then applying the iron on vinyl. 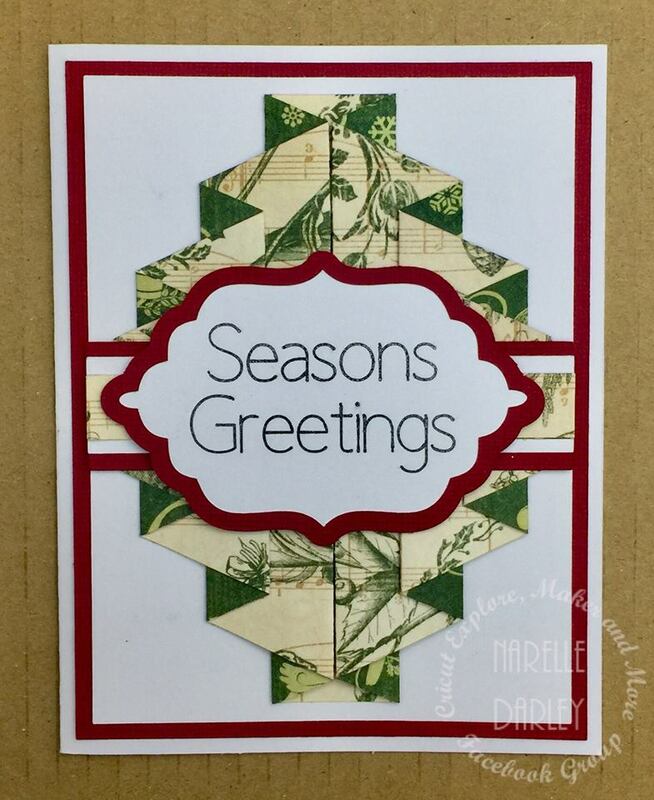 As a side note, heat pressing the embossed cardstock didn't appear to flatten the embossing at all. But when applying the iron on first I noticed that in the areas around the image it didn't emboss as deeply. 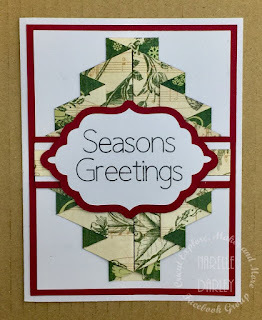 I hope this has encouraged you to try using heat transfer vinyl on cardstock. 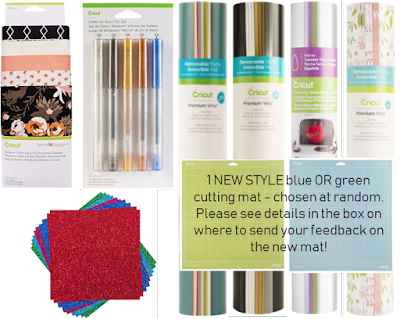 We've started a new challenge and giveaway over at Cricut Explore, Maker and More Facebook group. Each weekday from 5th - 30th November we'll be posting a new project for you to make. 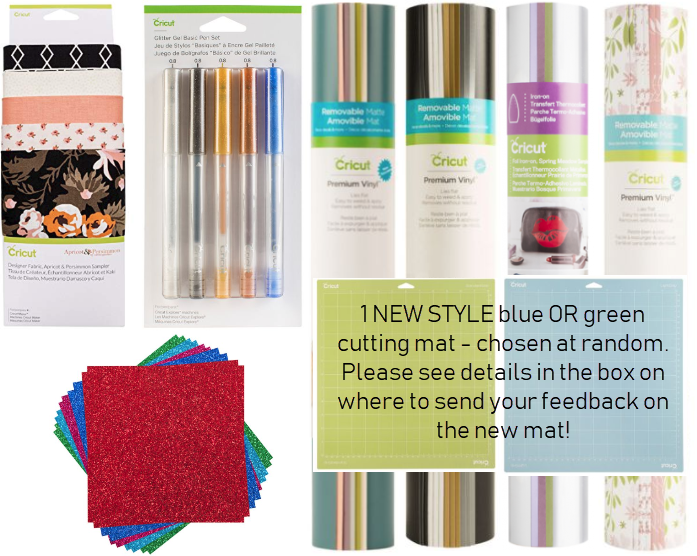 Enter your version of each days project to be entered into the giveaway. You have until December 15 to complete and submit your versions of the projects into the challenge album. Here is our first project. 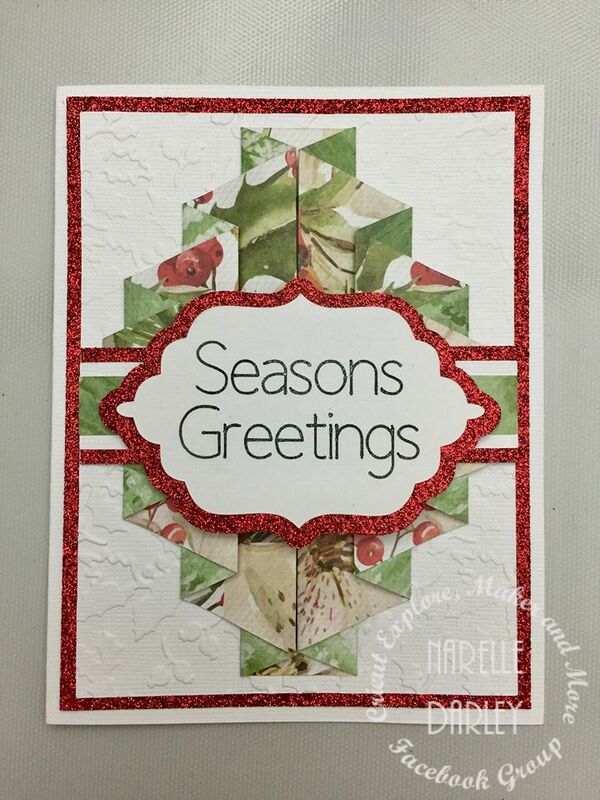 Head over to the group to get the free Design Space cutting file.